Inspired by Love! 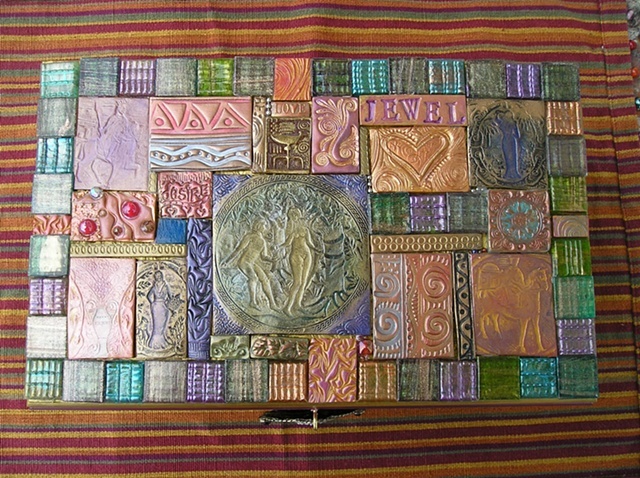 This Jewlery box is made of solid wood and decorated with handmade polymer clay tiles. The rest of the box is painted in shades of gold and purple, with a hint of blue. Inside are compartments to store your favorite Necklaces, earings and a special place for your rings as well. On the front is a beautiful medallion handle.